Continuing the series of regular reports documenting the production process of the first and second issues of my artist book/comic Blotting Paper: The Recollected Graphical Impressions Of Doctor Comics, Chapter 1: The Ingurgitator and Chapter 2: A Blot On His Escutcheon, this post shows more examples of the printmaking aspects of the project. 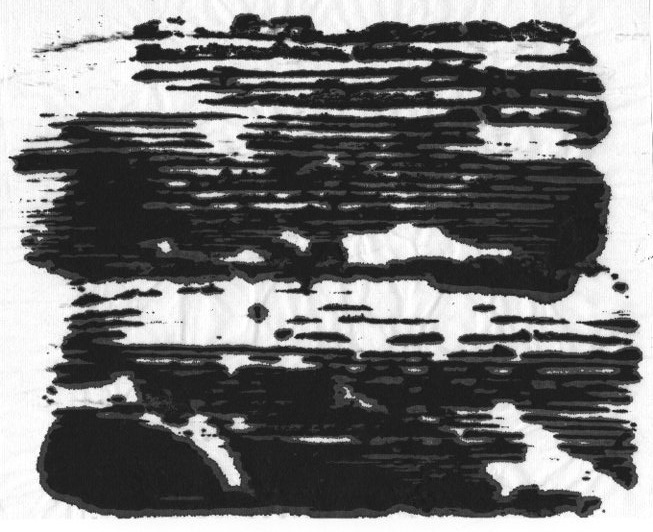 A deliberate ‘blotting’ effect was obtained from pressing a saturated inked block onto highly absorbent paper for a scene from the forthcoming second issue. 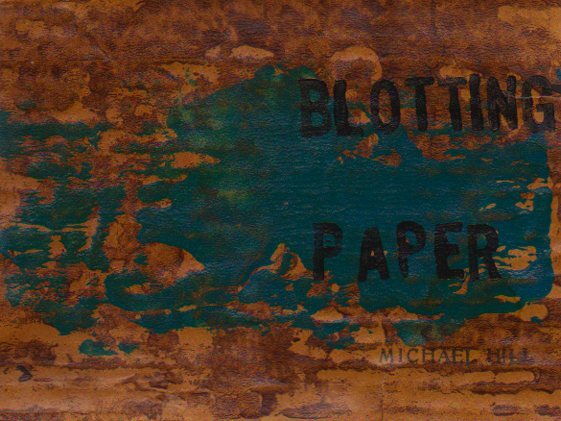 After the printing, the paper had to be peeled from the block quite carefully to avoid tearing due to the combination of the wet inked areas and the paper’s very soft and fibrous tissue texture. 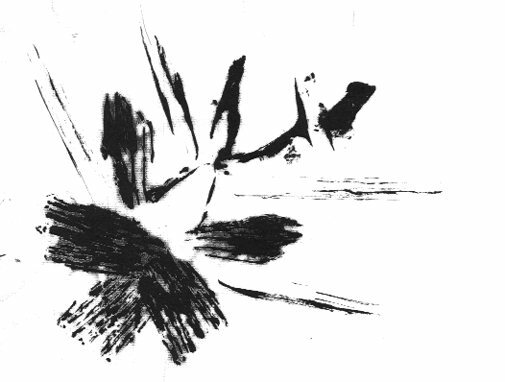 This unused print, above, from the first issue remains a possible inclusion as a cover or insert in the second issue. Tails and fins of a cooked fish were inked and printed for some images used in Chapter 1. 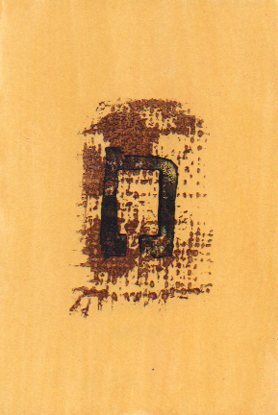 This approach was inspired by the Japanese sosaku hanga printmaking method in which inkable flat objects were employed as ‘blocks’ as an alternative to woodblocks. 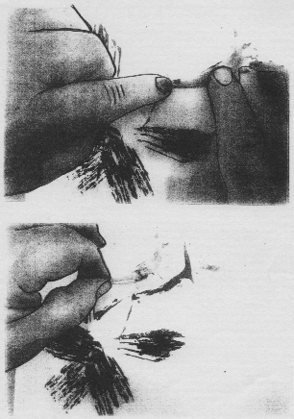 The resultant graphic effect is shown in the print above and photos of the image-making process involved in making that print, below. This entry was posted in Art, Blotting Paper, Comics and tagged artist book, drawing, making comics, sosaku hanga, visual diary, words and images by Doctor Comics. Bookmark the permalink.